There’s nothing like having free time to experiment with new things. Some time ago, I was off sick for a while due to a knee injury, so I killed boredom by learning Actionscript 3.0 and tinkering with APE (Actionscript Physics Engine). I started testing simple things like bouncing balls, solid objects, wheels, springs etc… and some ideas started to come along. 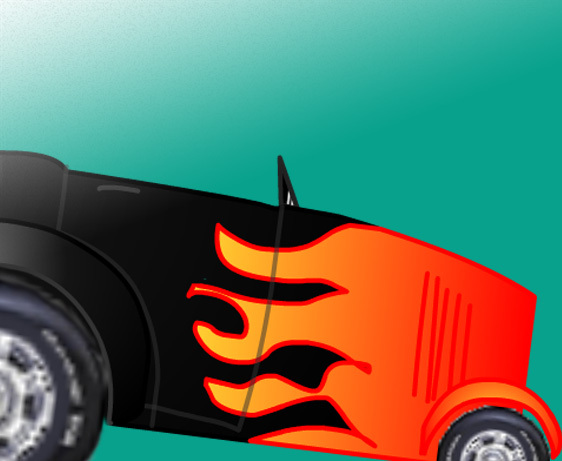 I created a hot rod with a serious weight bias problem so it required some skill to drive. Then I added the possiblility to add pieces of track and a goal. Eventually I wanted to make a rag-doll model so why not add some zombies that stood in the way? You can try the prototype here. The goal is reaching the mysterious blue question mark box.